In a bid to shore up the countryâ€™s economy, President, National Council for Women Societies, Gloria Laraba Shoda, has disclosed that Prime Unique Women Initiative and Skyhigh Security Safety and Skills in collaboration with the council will storm the United Arab Emirates, Dubai to woo investors. 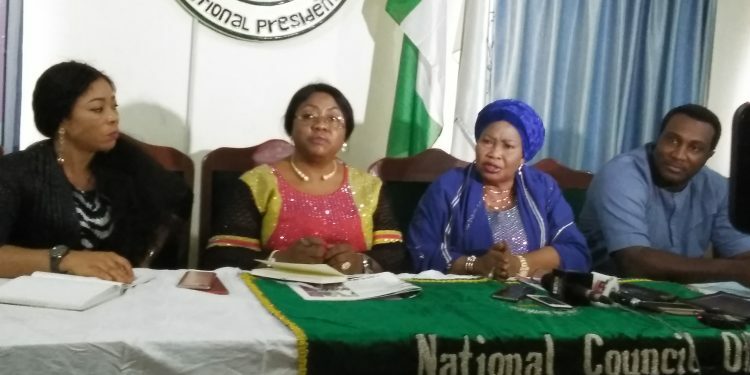 Shoda, who told journalists, in Abuja, recently explained that the role of women is not limited to domestic affairs adding that their visit would yield positive results. She also stressed that the summit which is tagged â€˜International Women Development Summitâ€™ and entitiled â€˜Strategic Women Development for Sustainable National Growth & Securityâ€™ is focused on encouraging women to actively participate in the countryâ€™s economic development and further retrieve women out of poverty. â€œWe are bringing women together to discuss the ways to achieve economic growth, as well engage them in exhibition to display their products in Dubai to showcase our products for exportation like made in Aba fashion products, Ankara made hand bags and shoes, Ori among othersâ€ she said. The event is slated for November, 26 to 28, 2018 at the Chamber of Commerce, Dubai. Convener of the summit, Mrs. Folake Yobah added that the summit will give women entrepreneurs the opportunity to showcase their businesses. â€œThe event is an opportunity for women to exhibit their products, galvanize with investors to bring investment in Nigeria, as well gain knowledge from their counterparts in Dubai,â€ she said. She continued, â€œthe event will create opportunities for women to understand policies and government regulations for women entrepreneurs to do business in Dubai. â€œWe will be highlighting networking session where business communities, investors will mingle with Nigeria enterprenuers to promote economic growthâ€, she concluded.